We are thrilled to have been named Best Overall Entry - 2nd Place at this year's Rotary Brockville Santa Claus Parade! Thank-you to the judges (Meg Plooy, April Fraser & Dave Paul) and Brockville Rotary for organizing such a great afternoon - we had a blast! Congrats to the Aquatarium for their 1st place finish (your float WAS awesome!) & to the #Brockville Scouting group for their 3rd place finish! There were so many great floats and smiling faces on Saturday - we look forward to participating again next year! Big shout out to Bill Deplaedt & Catherine Patrick Deplaedt from Canadian Tire in #Brockville & #Prescott for being the best sponsors and partnering with us to help make our float such a success! ATTENTION CHILDREN 12 & under! Are you going to the Rotary Brockville Santa Claus Parade this Saturday, November 26th? The Brockville Winter Classic Weekend Committee will be giving out #FREE ticket vouchers* to the Boston Bruins Alumni vs. Canadian Tire All Stars game on March 5th to CHILDREN 12 & under we see wearing a HOCKEY JERSEY! So, throw your favourite jersey on over your winter gear and watch for us at the parade! 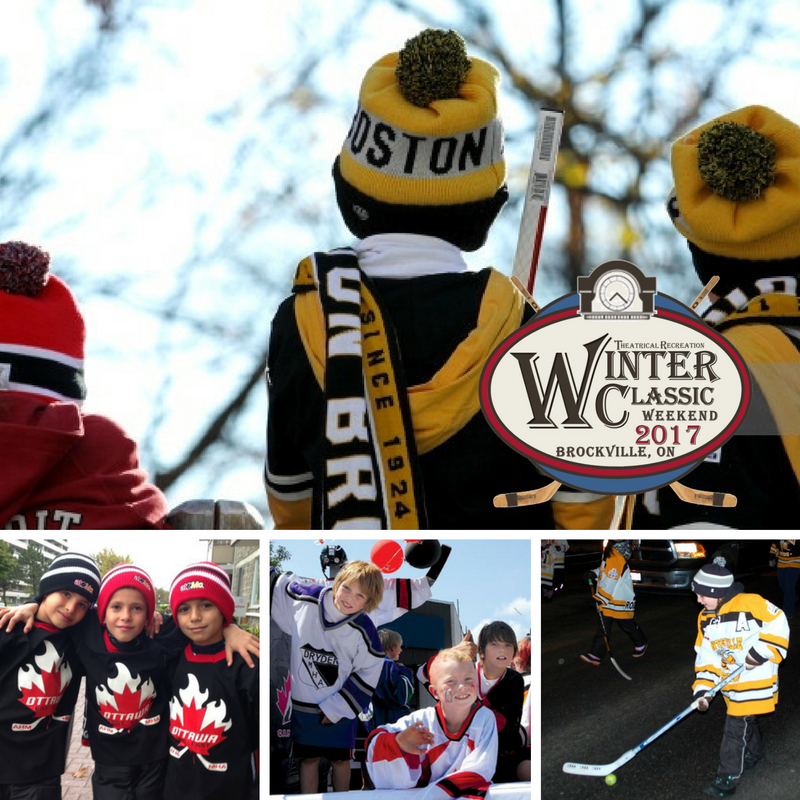 Brockville Winter Classic 2017 is BACK! The third annual Brockville Winter Classic Weekend event is being organized by the Brockville Winter Classic Committee in collaboration with the Rotary Park Revitalization Committee. We are happy to announce that we will be delivering upon the success of last years’ events with a bigger and better “Brockville Winter Classic Weekend 2017”, and we are excited to share our plans with you. and much more is being planned for March 4th to celebrate our love of Winter! Brockville Rotary Park is a locally funded facility that offers free recreation for the entire community. This facility is integral to the healthy upbringing of our youth by offering play without charge. Over the course of six years’ Rotary Park has received upgrades in excess of $1,500,000. The Rotary Park Revitalization Committee is in it’s last phase of plans which include the installation of a roof over the Rotary pad to ensure usage regardless of weather conditions, 365 days a year. Your support can help us meet this goal. 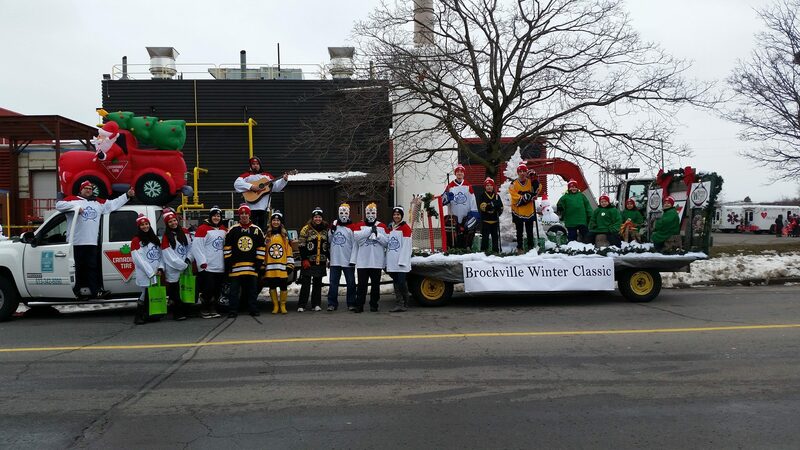 If you wish to be involved in this weekend, or have any questions, please contact brockvillewinterclassic@gmail.com or facebook.com/BrockvilleWinterClassic or visit this website (http://brockvillewinterclassic.com/) for ongoing updates!